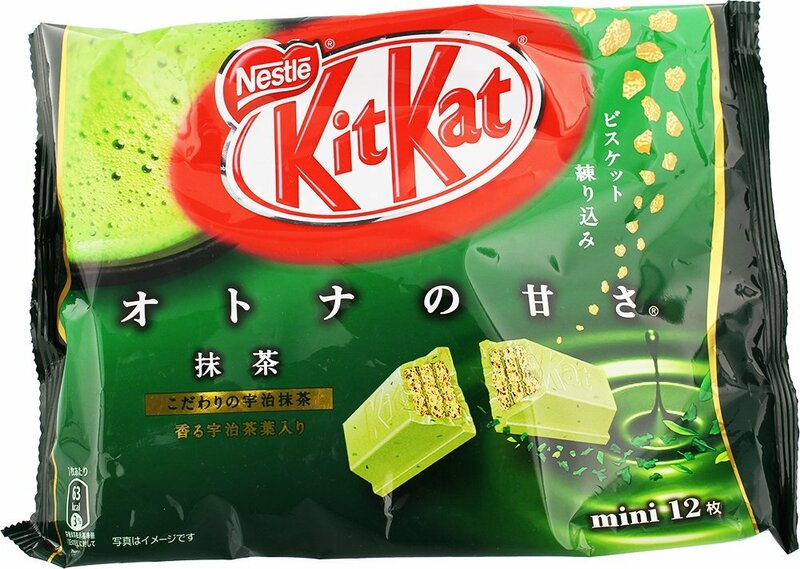 Green Tea Kit-Kats have quickly become the most sought after snack coming from Japan. Here are a limited supply of Maccha flavored Kit-Kats that you won’t want to miss. These epic snacks have a sweet maccha flavor mixed with creamy white chocolate, on a crispy wafer that Nestle’s has perfected. There are 12 of mini size kitkats ( 2 finger ) in the bag. 1 mini size kitkat is about 0.4 oz.